It’s easy for students to feel homesick and lost in a new city. 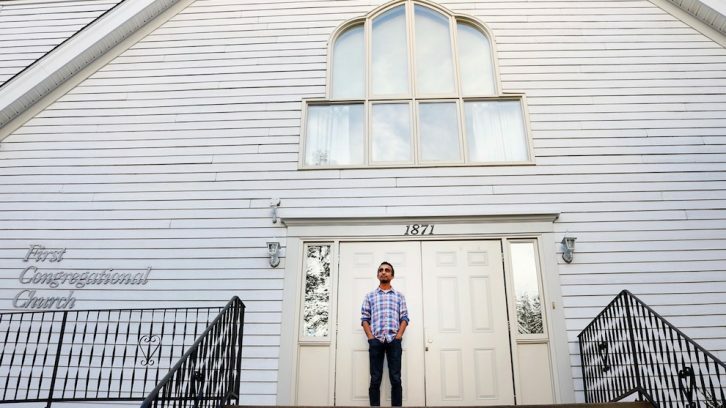 One church in Halifax has made it a priority to give students a better experience. Since opening in 1988, the First Congregational Church of Halifax has aimed to make students feel welcome. Members try to curb loneliness for international students by offering a light meal after every service during the school year and by helping them meet new people. Hockley, who is originally from Wales, was once an international student. She said that experience helped her understand the struggles of being a stranger in a new city. Raunaq Kainth, who graduated from Dalhousie University last year, got involved with the First Congregational Church in 2014. He came from India in 2013 to pursue his master’s in electrical and computer engineering. He still attends services at the church. Thinking back to his first experience there, Kainth said he was amazed by the interest people showed in getting to know him. “I found it very welcoming. Everyone was smiling. Everyone started asking me questions and everyone was trying to get to know me so I found it very interesting,” said Kainth. Kainth said the church always had food that was specially prepared for university students. “They made sure that students who came from outside Canada to study here were fed first. I was one of them and I always had lunch on Sundays,” said Kainth. Kainth said he felt like people genuinely cared about him when he joined. They were willing to listen to him and help him. “There was a couple who made sure that they invited me during all the festivals like Easter and Christmas. They would provide me with an incredible meal and I would experience exactly how it was celebrated,” said Kainth. Hockley said she is available to students if they ever need to talk. She hopes to serve them and help them with whatever they need. “What we want to offer as a church is a sense of family. So when students come in we want to give them opportunities to meet people from different generations,” Hockley said. University students are welcome to join in on a service at the First Congregational Church each Sunday at 10 a.m.